Malware scanning and analysis distro REMnux has been updated to Version 6 with 19 new tools and updates to tools in earlier versions. 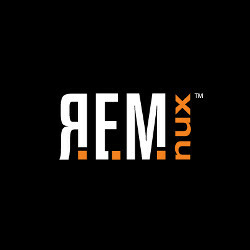 The brainchild of information security specialist Lenny Zeltser, REMnux Linux has been around for a while. The first version saw the light of day in 2010. The upgrade also comes with changes to let the toolkit’s users easily apply future updates without requiring them to download the full REMnux environment from scratch. Based on Ubuntu 14.04 64-bit, REMnux v6 features a suite of tools to scan and examine malicious software. REMnux 6 includes tools to examine browser malware, investigate Linux malware and mobile malware, examine document files, file properties and contents, network protocol analysis and more. The following new tools have been added in With REMnux Linux 6. Installing REMnux 6 is easy if you already have Oracle VirtualBox on your system. Since I already had VirtualBox up and running, it took less than 10 minutes to download the REMnux 6 virtual appliance file and then import it into Virtualbox. I opted for the default settings and had REMnux 6 running in no time. If you have an issue with the window/screen size, install the VirtualBox Guest Additions software. Getting Guest Additions to work with a new virtual machine can often be a tricky affair, so do not get frustrated and give up. If you want to link VBoxGuestAdditions.iso to a new virtual machine, first make sure the VM is closed. With its rich suite of malware analysis and scanning tools, doubtless REMnux 6 will soon be part of every security analyst’s arsenal.